We’re Ian and Tara Wells, and we believe Sydney’s best natural beauty can only be accessed on foot. Here you’ll discover the best walks in Sydney, from coastal walks to bush, right here in the city’s backyard. You’ll benefit from our well-trodden expertise as we share the Sydney we know and love, so you can experience the best walks in Sydney for yourself. Check out the most popular coastal walks to kick-start your adventures. You know your own patch of the city but surely there’s more out there? Yes, and we’re here to share it with you! 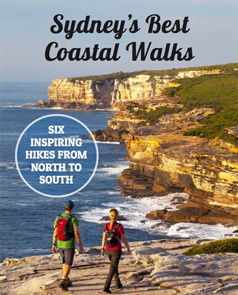 Get your free guide to the six best coastal hikes in Sydney, with information to get you walking right now.